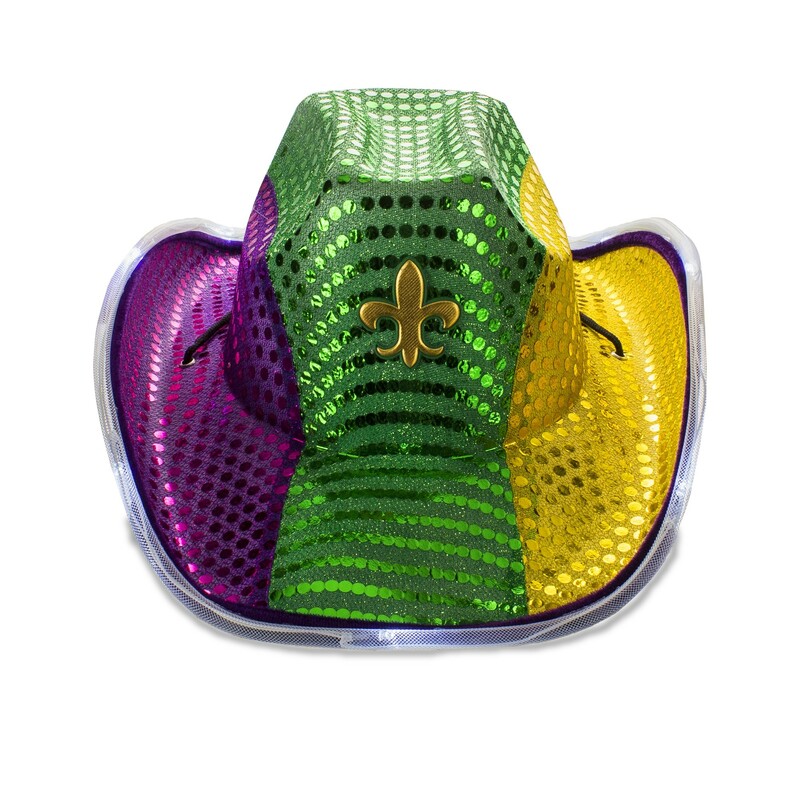 Light up your partiers for the Mardi Gras float parade with our Sequin Mardi Gras LED Cowboy Hat. 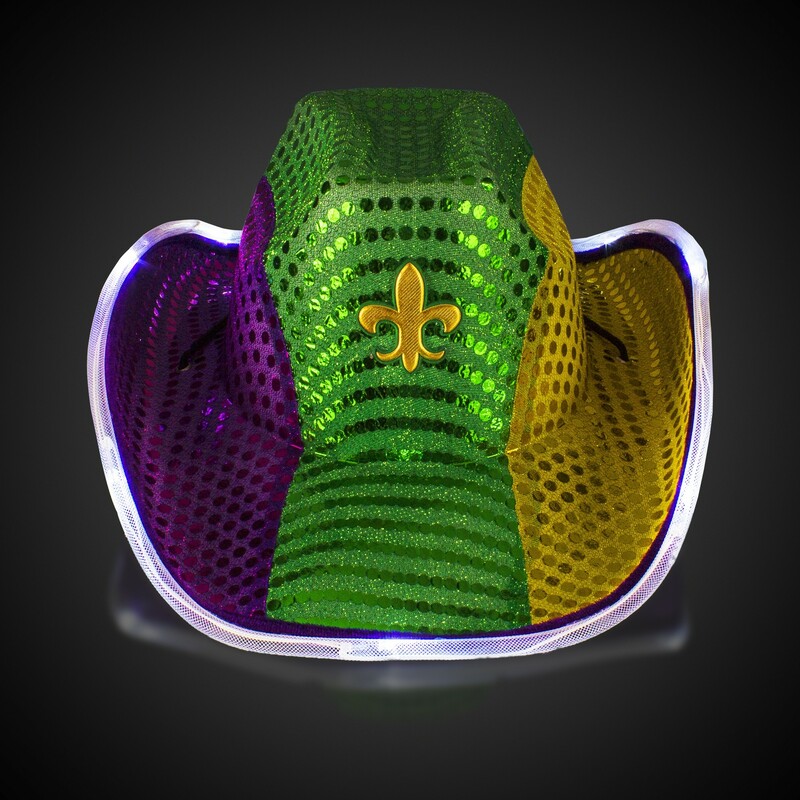 Each Mardi Gras cowboy hat has purple, green, and gold sequins with 8 bright white LED's around the brim to light the night. 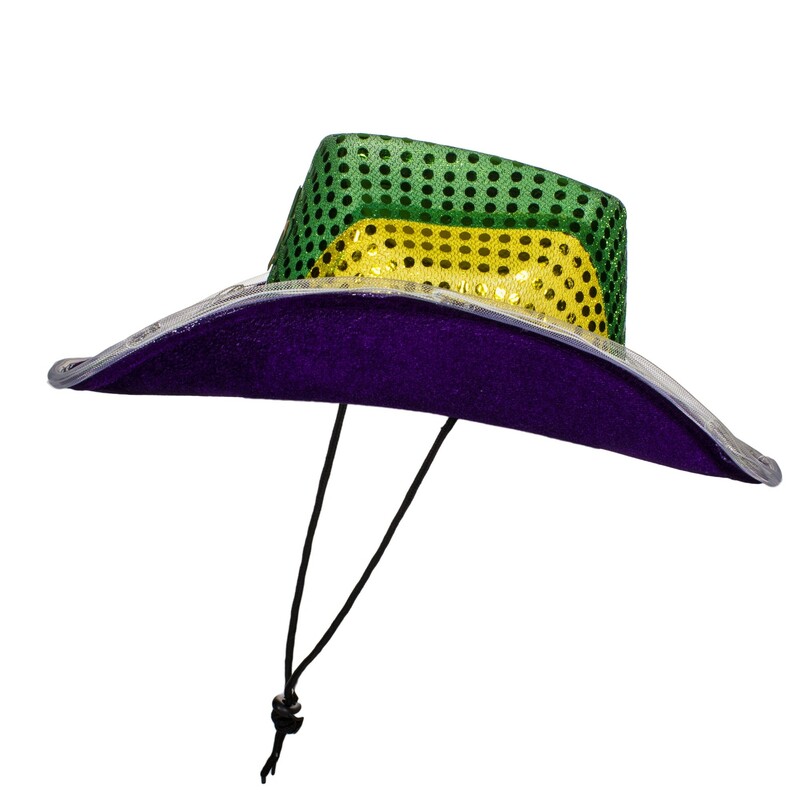 A purple felt lining add to the decadent feel of Mardi Gras. An adjustable black string insures a comfortable fit. 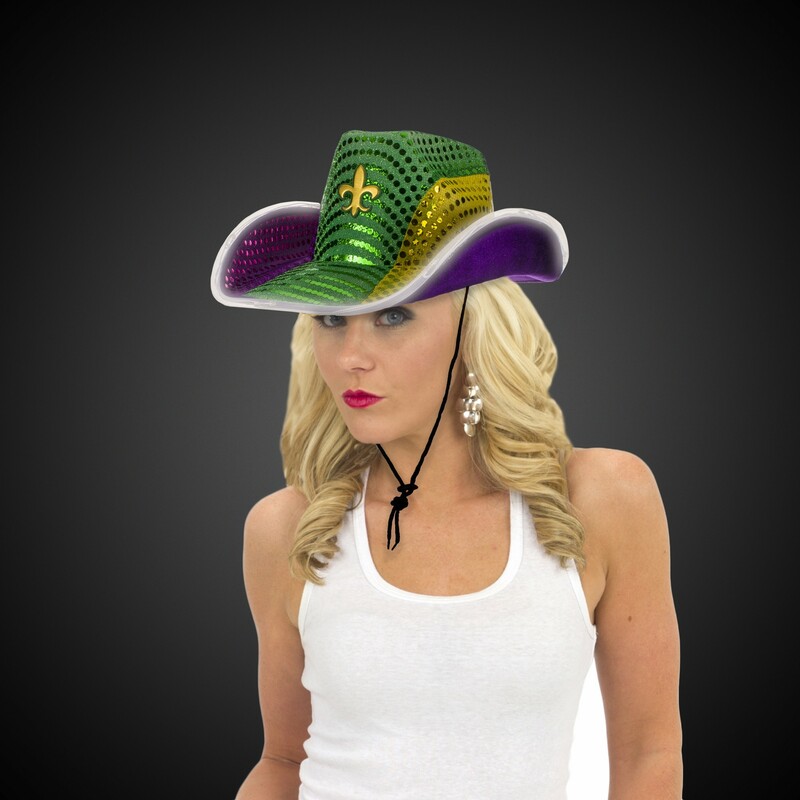 Choose from 3 light settings, constant on, slow flash, and fast flash. 3 non-replaceable AG13 batteries are included and installed.